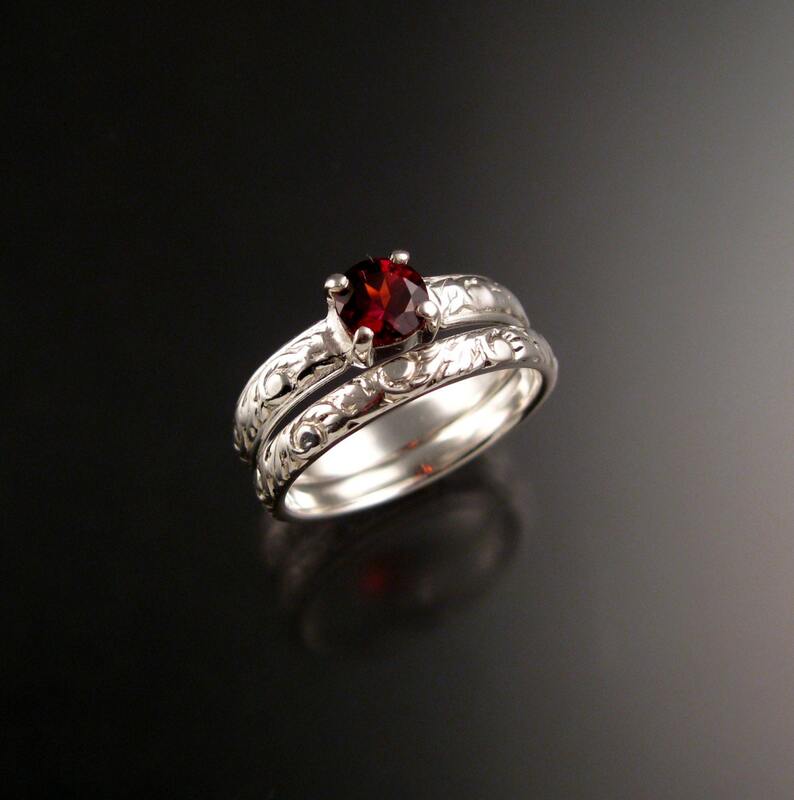 This a beautiful red Garnet. 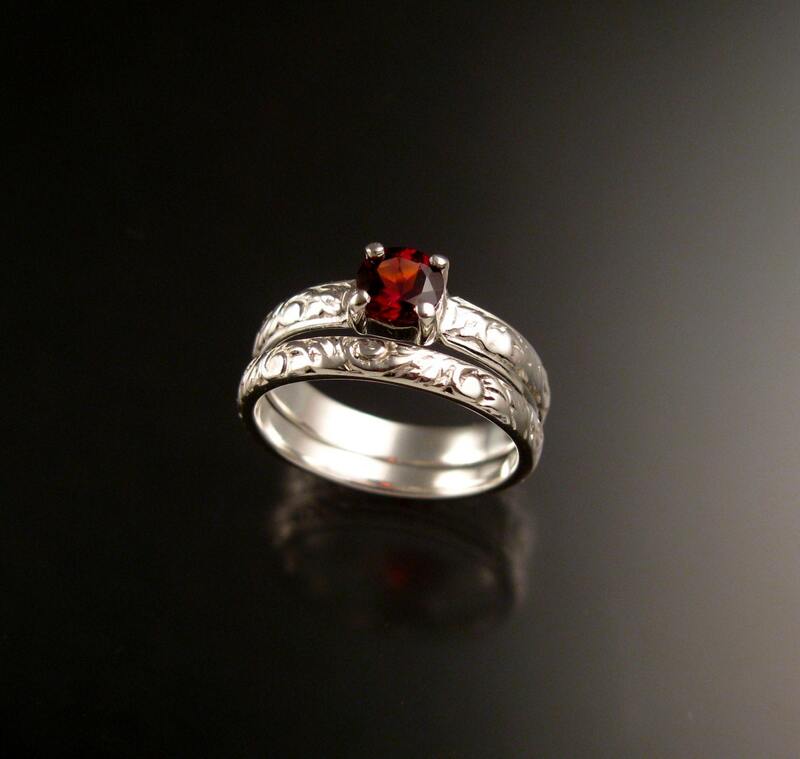 The 5 mm stone is eye clean and set in 14k White Gold with 3,5mm wide shank in a vintage style floral pattern. 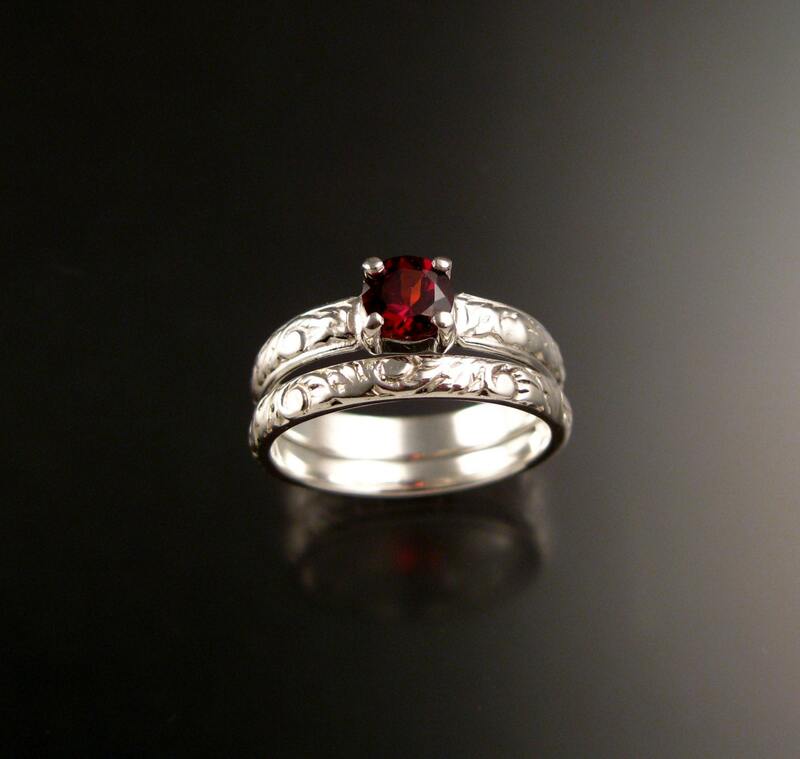 Garnet rates a 7 on the Mohs scale for hardness. 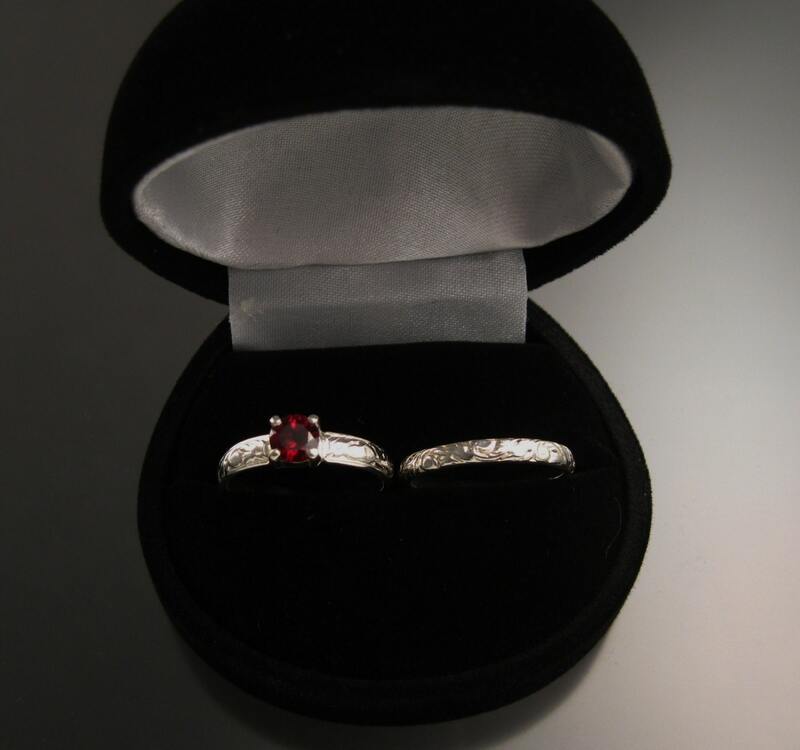 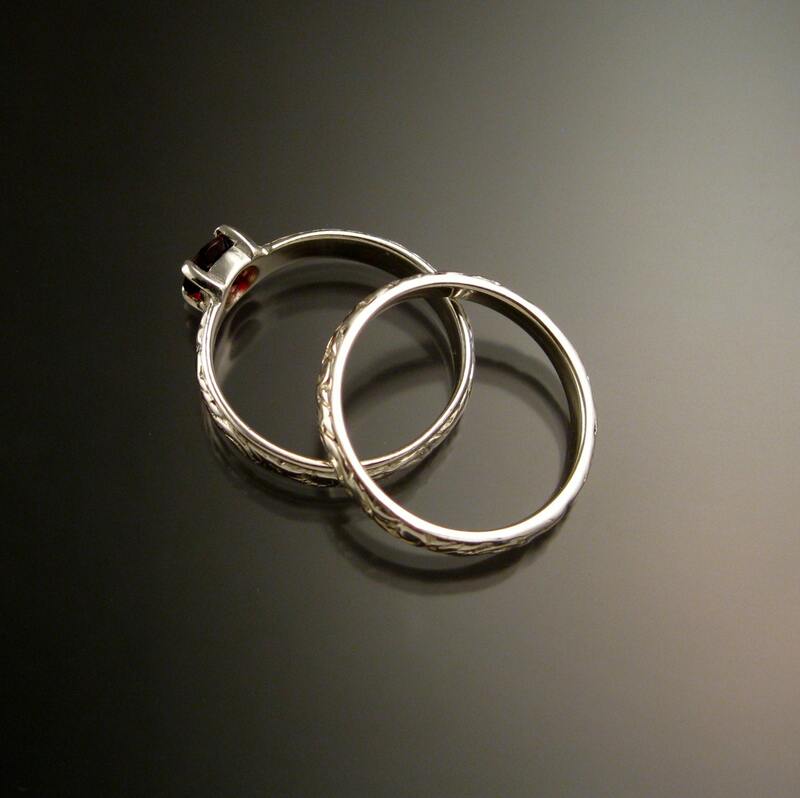 Comes with with matching 2.5mm wide band.